Banana bread, anybody? 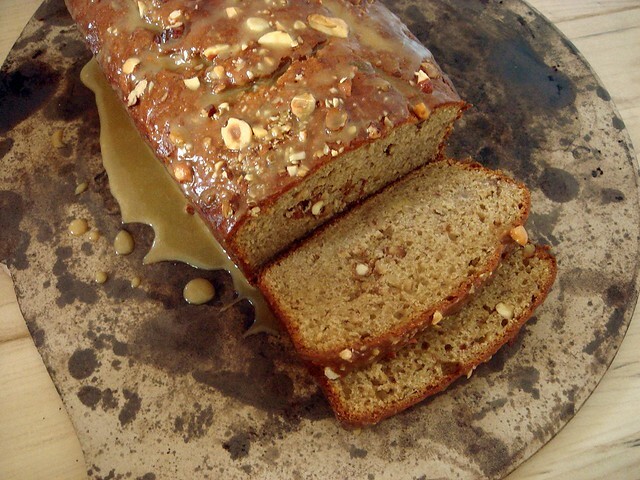 How about banana bread with peanut butter? It's definitely less messy than a sandwich! This recipe isn't unique at all, and it's an adaption from a Cooking Light recipe, but you should make it because it's a very tender and flavorful quick bread. Besides having peanut butter on the brain, I wanted to incorporate the supply of Doug's Nuts I received yesterday into a baked good. 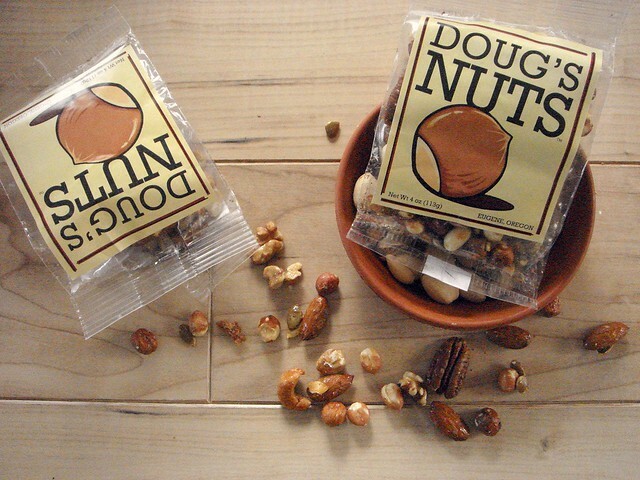 I'm working with Doug's Nuts on an upcoming project, so I'm going to talk a little bit about them for a second. Their carefully selected nuts and seeds are delicious, crunchy and addictive. It didn't help that I started eating them immediately after a run, which led to me eating half a bag. The flavorful glaze consists of organic evaporated sugarcane juice, honey, oatmeal stout beer, sea salt, organic vanilla extract, and other natural flavors. 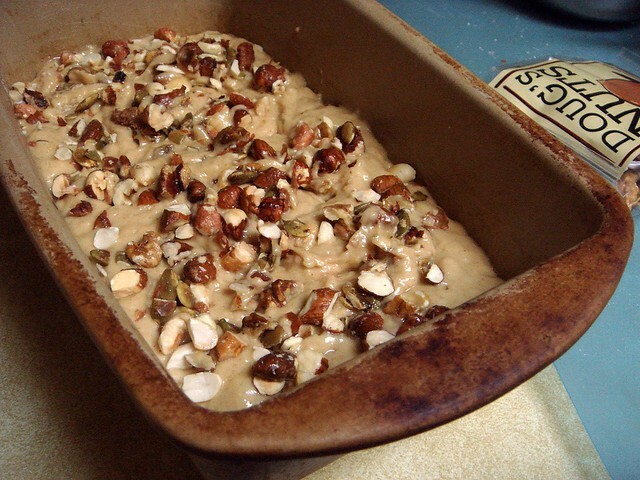 The glaze coats a wonderful blend of roasted almonds, peanuts, hazelnuts, walnuts, cashews, pecans, and pumpkin seeds. Unlike other mixed nuts that are filled with an excess of peanuts, there was a fairly equal amount of each in both the packages I received. Back to the bread. 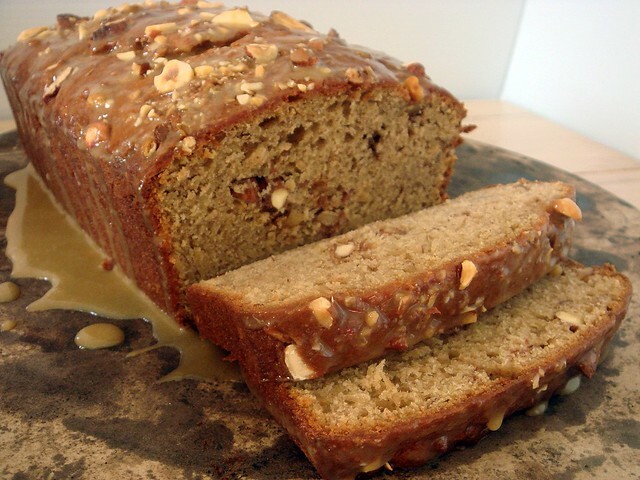 Half of the chopped nuts are sprinkled onto the center of the loaf, and the rest are sprinkled on top. The loaf comes out tall and browned. Once it cools, a peanut butter glaze is drizzled on top. I expected a thicker glaze, but it turned out for the best since it didn't hide the nut-speckled top. Sometimes quick breads come out dry and lacking in flavor. This was the complete opposite. It was slightly tangy, the banana and peanut butter complimented each other nicely, and the tiny bit of cinnamon tied it all together. The nuts added a crunchy element that rounded out the bread. 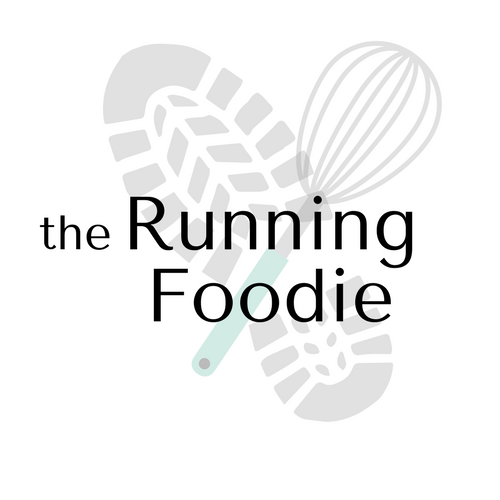 It also doesn't weigh heavy in the stomach and would be perfect as a pre-run (or midday) snack. Preheat oven to 350°. Grease a 9x5-inch loaf pan and set aside. In a medium bowl, whisk flour with baking soda, salt, and cinnamon. In a large bowl, blend butter with peanut butter until incorporated. On medium speed, beat sugars into the peanut butter for 2 minutes. Beat in eggs, one at a time, until incorporated. Mix in bananas with vanilla extract just until combined. Add flour mixture in three additions, alternating with yogurt. Give the batter one final stir with a spatula. Pour half the batter into the prepared loaf pan. Sprinkle with 1/3 cup chopped nuts, swirling lightly with a knife. Carefully spread the remaining batter on top, sprinkling with the remaining nuts. Bake for 1 hour and 5 minutes, or until a cake tester comes out with a few moist crumbs sticking. Cool in pan for 10 minutes; turn out on a wire rack to cool completely. Whisk milk and creamy peanut butter together in a small bowl. Add confectioners' sugar and whisk to combine. Spread over top of cooled loaf. Let stand for 5 minutes to harden before slicing. DElicious! This is gorgeous looking, too. I want to try some right now! I love how you sprinkled on top. The nut shots look great! That reminds me...my roommate left some brown bananas for me to use! Definitely perfect timing. 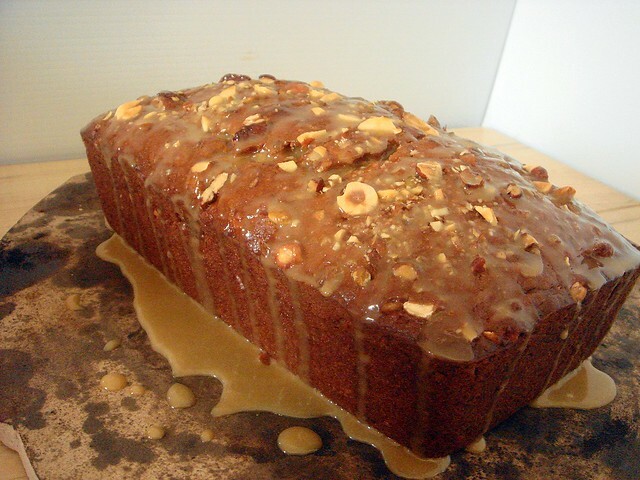 This is a beautiful loaf and the nuts must have given it a very special kick! Thanks, guys! I wish I had another piece right now.